If The Shoe Doesn’t Fit…? Bringing about choice in the classroom via John Spencer. If you had a pair of shoes that didn’t fit – too small, too tight, too loose, too high – what would you do with them? Put a bow on them and a row of sparkles and wear them anyway? Cram your feet in and mash up your toes, bloody your heels, and suffer? No. You would put them in a recycle box, trash bin, or donate them and move on to something that worked. Why don’t we apply this analogy to school? So many of the embellishments we are slapping on: iTime, differentiation, personalized learning, flexible seating, choice boards, passion projects – are the bows and sequins that don’t make the shoe any more comfortable or any closer to fitting. What if instead of focusing on building agency, we focused on building a school that is radically different to the production-line-based factory model we are currently saddled with? Agency already exists. We are born with it. It is not something you give someone. But schools and the structures we have created, do a great job of taking that agency away and out of the hands of the learner. Take a tally of all the decisions you make for your students. Better yet, write them all down – you’ll be exhausted. How can you switch so that more decisions are made by each child for themselves? Kids don’t think in A4 or legal shaped boxes of paper! And they don’t need us to pre-think on this paper for them. Try ditching the grids and templates and cookie-cutter forms and see what your kids come up with. I just retweeted this image. How can you use your observational powers to see where the paths need to be laid instead of rolling out the concrete where it fits best? This one stems from a phrase we used a lot at the Learning2Asia conference this past week. Think of freeing kids from the checklists and criteria and just let them play, create, explore, make, do! YOUR job (behind the metaphorical curtain) is to be tracking their learning and watching for what they can do independently, with support, or haven’t gotten to just yet. Guide. Observe. Ask. Or even just say nothing and keep quiet while they get on with the real work! You don’t need to entertain your students. That doesn’t mean you can’t be entertaining, but it does mean your job isn’t to ensure that every second is packed with – wait for it – ACTIVITIES! Let them play, them them iterate, let them be bored. They’ll soon find something to do. As John Spencer has pointed out, we need to move from entertaining our students (“The kids love this activity!”) to engaging them by connecting them with real ideas that matter, and then go further to empowering them to seek out the learning for themselves instead of waiting for it to be delivered. These ideas have been percolating for a while and the perfect place for them to synthesize a little more clearly in my mind was over the last three days in Shanghai at the Learning2 Asia Conference. In addition to some excellent practical tips and ideas from Jamie Stevens and Nici Foote in the realm of Makerspaces, Tinkering, Playing, and STEAM, I was incredibly inspired by what I am calling my “Unconference Fung-Kee-Fung” Sandwich. First layer: Unconference Session #1 in which a group of 20+ passionate educators discussed the idea of student agency and in which I got to meet (in real life!) Taryn Bond-Clegg, the educator extraordinaire behind the blog Making Good Humans. Sandwich Filling: Lisa Fung-Kee-Fung (Best. Name. 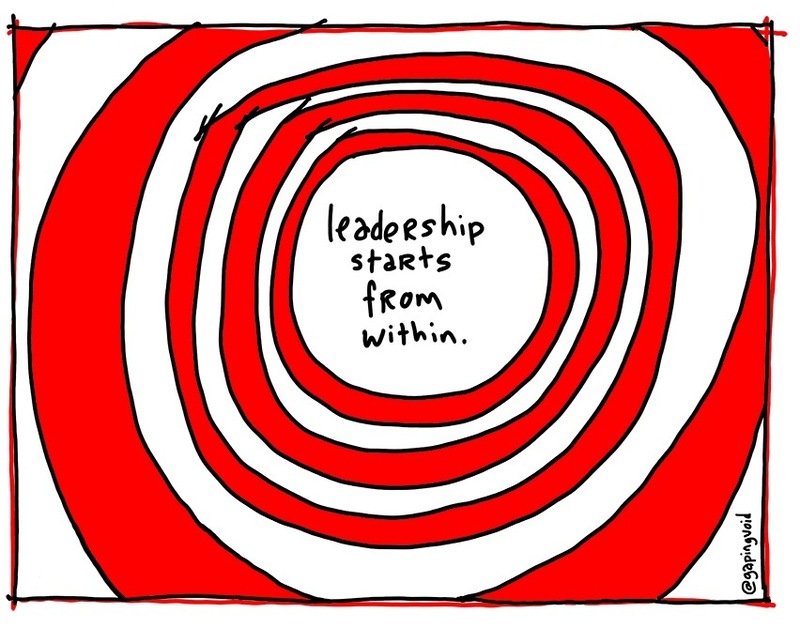 Ever) and an extended session on Launching Student Learning with a focus on who we are really here for – the students. Coupled with a really interesting discussion with the Deputy Director of WAB, John D’Arcy on the concept of Flow21 and WAB’s 2021 vision for the future of learning. Top it all off: Unconference Session #2 in which 20+ shrinks to 7 and we have yet another focused, inspiring, and fast-paced discussion on agency and beyond. This is a huge thing to think about and it can seem overwhelming to know where to start. In addition the ideas mentioned above, I would recommend exploring the Global Goals and seeing where these might take you and your students. These goals encompass a wealth of understanding and knowledge – and “it’s hard to change the world if you don’t know much about it.” –@msoskil. Imagine you are a car. Your school year is the journey you are about to embark on. You need fuel in your tank to keep you going. What are you going to choose to fill your tank with? What is going to serve as your fuel? What will drive you on? Seth Godin wrote an excellent blog post on this topic of “choosing your fuel”. Essentially, he outlines narratives (light and dark) that can serve as fuel as we push on to do our work. I am in a phase of moving on from one school to another, one role to a new one, one life to a whole new experience. Seth’s post really made me think about ‘what I want to marinade in’. I love that analogy. What am I going to immerse myself in? What am I going to allow to seep into who I am? This is a personal one. In the last four years I have moved continents, had two children, changed jobs, and am on the move again to a new continent and new role. It is a lot of change and I have chosen to reserve very little time for me. This year, despite the changes in location and role, I want to ensure more of a balance and more time devoted to becoming a better, kinder, more patient, healthier version of myself. I want to be fueled by connectivity. By the idea that we are all connected and that in being connected, ideas are amplified. I want to see this evolve in the day-to-day by making connections with those I work with IRL, and I want to maintain and develop my connections to people and ideas online. I also want to establish connections with the students at my school. I want to make sure that the connection is not a one-way path of me pushing ideas to them, but a dual carriageway upon which we build a connection that sees me supporting their ideas, questions, and wonderings. This might seem in contradiction to me wanting to take time out for myself but I also want to make sure I am balancing that with the concept of generosity. I want to ensure I am giving freely of my time in a way that serves my own needs and the needs of others. I think I am really lucky to have the PLN that I do, but I also know that I have done my part in generously sharing my ideas and resources which (hopefully) inspires others to do the same and thus, we all win. I fear if I lose that spirit of generosity I will lose a large part of what brings me joy and satisfaction as an educator. I am very interested in being fueled by possibility. I love the idea of starting from a “How might we…?” mindset and moving forward from there. So often, I find myself looking through the lense of problems rather than possibility. Of what is not possible rather than what might be. While I realize that everything is not possible, many, many things ARE very possible, and that is how I will position myself in the year to come. This last one is interesting to me. I think we (as teachers) are professionals in a profession – and yet, sometimes, we don’t act that way. I am not choosing the fuel for others, but for myself, I want to strive harder to embody a professional demeanour. I am not always putting my best foot forward, I don’t always choose the best choice, I don’t always respond in the most appropriate manner. And I know that. And I want to change that. So I am writing it down here in order to help make it so in the real world (not just up in my head). This post was not easy to write. I know there is a lot that I do well and a lot that I have to work on, and I could easily ignore the latter and pat myself on the back for the former. But then I would be fueled by avoidance, fueled by ego. I prefer to be fueled by the challenge of change. As I finished this post, I was reminded of the story of rocks, pebbles, and sand. A great reminder for us all as we set our priorities and choose our fuel for the future. And start with rethinking worksheets. I believe that in 7 minutes, you will never look at a worksheet in the same light ever again. What are we doing to our kids when we don’t take the time and effort to breathe creativity and agency into our classrooms? If you are interested in taking this discussion further, take a look at The Ten Principles For Schools Of Modern Learning. This Whitepaper is the best thing I have read about education and change since I read Seth Godin’s Education Manifesto. I have just started a course in Creative Teaching and Learning as (a final) part of my Masters Degree and my hope is that we will come up with practical ways to inject greater creativity into schools. One of my classmates shared this video and in it, the speaker tells of the need for knowledge in order to fuel creativity. The idea being that having knowledge helps you build creative ideas to problems and challenges. Do you agree? I certainly side with Tony Wagner’s thought that “it is not WHAT you know but what you DO with what you know” and believe that the ‘knowing’ and the ‘knowledge’ are important parts to being a creative person. It comes as no surprise to me that Tony Wagner is an “Expert Education Advisor” for the award-winning film “Most Likely to Succeed”. A ‘grown up’ version of the animated ‘Alike’ this film is on my list of things to watch (when I write up my grant proposal to get the money for a screening). I came across this on Twitter just before (or after) the New Year. It seemed timely and thought provoking and I have been pondering calling this my ‘motto’ for the year ahead. In many ways, this is how I do things. I tend to take massive bites and try and wrap my head around large ideas (and ideals) in a very ‘gung-ho’ manner. 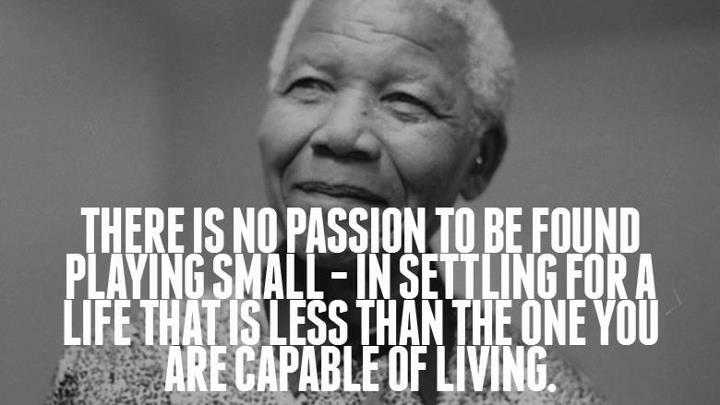 My aim is not greatness but more the desire to do something of significance and magnitude. But what if I have been going about it all wrong? Would smaller nibbles that potentially yield greater outcomes be a better option? Maybe making a difference one person at a time rather than expecting a revolution? Which method would help add the most value? The journey to disruption may be lonely but fundamental to our ability to serve and add value. Is he advocating for a nibble approach? Or is he just reminding us that not every attempt to serve and add value will be done with fanfare and a loud support squad? And that some of our most important work might be the work done alone? So which approach to take? What will you do this year to serve? To add value? To disrupt? To innovate? As for me, three separate opportunities recently were in my path. I put myself out there for all three and was summarily rejected. For all three. On the same day. This led me to question many things but then to reflect on the purpose for seeking those roles in the first place: to inspire, to lead, to learn, and to grow. Are these ideals now out of my reach? No. Just moved to a different (yet to be determined) context. I then got three new opportunities (over different days this time! ): to work on a project involving math videos for lower primary students, to share ideas on “Swamp Dwellers, Fence Sitters, and Go Getters” with a school developing a 1:1 iPad environment, and a book in the mail recommended by a parent in order to develop a personalized learning approach to how we do school. Inspiring? Leading? Learning? Growing? Yes, on all counts. I will continue to “choke on greatness” but also with the thought in mind that not all ‘greatness’ will be heralded by a crowd – or known to anyone at all for that matter. 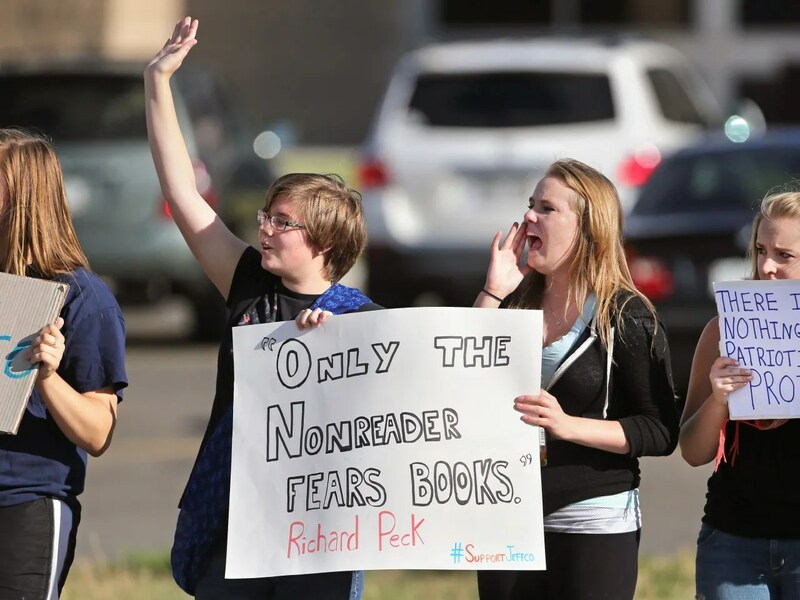 As I looked at this photo, I couldn’t help but think how incredibly proud their teachers must be. To have organized (via social media and texting) a peaceful, educated protest in order to have an education that allows them the opportunity to learn from history. They were not the only young people using their voices for good this week. Brown graduate and actress, Emma Watson, delivered a moving speech at the United Nations headquarters in New York for the HeForShe campaign, the goal of which is motivating men and boys to end gender inequality. All of these young people are remarkable examples of how powerful their voices are. This made me question my own teaching and how often I encourage and give opportunity for students to raise their voices. How do you allow your students to raise their voices in your classroom? Could you hang this poster in your classroom? Would your kids believe you meant it? According to Seth Godin, this is a question we’re not nearly spending enough time asking each other. Today, Seth posted on his blog: The wasteful fraud of sorting youth for meritocracy. His post his brilliant. I know that I say everything Seth does is brilliant, but this is really worth reading. It challenges us to rethink the way we ‘do school’ and the way we ‘sort’ children in school. Is this what school is for? A giant institutional sorting hat? Does that sound like your school? Take a look at Seth’s Stop Stealing Dreams TEDx talk. So, again, What is school for? What was the last artifact of your own learning that you created with technology? What expectations do you have for your teachers’ use of technology in their own learning? What expectations do you have for your teachers’ use of technology in the classroom? If you have not read Seth’s manifesto Stop Stealing Dreams and you care about education and the future of education, then I implore you to find the time to read it. It doesn’t have all the answers but it has a lot to get you thinking – and it led me to Imagine A School of my dreams. Pick Yourself. It is a phrase coined (or popularized perhaps is a more apt description) by Seth Godin. At his NYC day event that I was fortunate enough to attend two years ago, he gave out guitar picks with this written on them. I grabbed a handful of these at the event and they will often appear randomly around our house. We just moved and whilst unpacking, I came across a purple Pick Yourself pick in a box. It now sits on my daughter’s bottle drying rack in our kitchen. Pick Yourself. Pick Yourself. 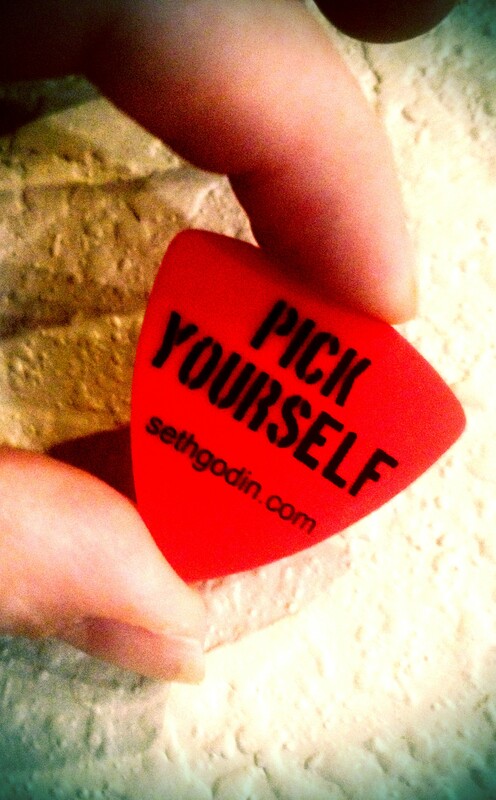 Pick Yourself. This is a good reminder for me on a number of levels and yet I still often value other people picking me (external validation) over my own belief in myself. Since I started sharing my thinking via this blog I have been approached by people asking for help with getting into international teaching, by people who would like to repost my posts, by publications wanting to publish my posts as articles, by the IBO to lead initiatives in sharing practice and in technology education. I have been validated by these people: “We pick you!” “We choose you!” I also am a sucker for the stats that are generated by WordPress. How many pageviews? From how many countries? These external motivators do just that: they motivate me to keep publishing, keep posting. They are not my only motivation but I am suckered in when I see other people “picking me”. Today, I met with my principal to have, essentially, a “Pick Me” conversation. I want to be picked to continue on next year with some work I have started in my role as Curriculum Coordinator. The conversation was good and whilst I do not know the outcome of our discussion in terms of me continuing in the role, it has had me thinking all day: am I picking myself or waiting to be picked? What if I am not picked? Do I pick myself anyway? Do I do the work for free, in my own time? Do I show that titles don’t matter, having a heart for change is what is important? So I started to do this. I wrote what is essentially my own “job description” and I have a plan for what I would like to do. There is still a part of me that questions: How do I know that the opportunities I see and the problems I want to solve, match the vision and purpose of my school? Do I wait for our paths to align or do I pull them together? This is where the permission-seeker in me dwells: in that place between ruckus-maker and rule-follower. Between employee and innovator. The whole process has been thought-provoking. The outcome, unknown. One of the things I have often talked about, is how grateful I have been to work with people whom I could discuss educational ideas with and who would give me thoughtful, honest feedback. They would provide a different perspective, reinforce my beliefs, or challenge me to think more deeply. The more I have traveled, the more I have come to realize that these friends are ones to be treasured – and they can’t be found just anywhere. This week, I had an appraisal visit by our Assistant Principal. It is my second of the year and it begins with a 10-15 minute discussion about the lesson to be observed. I sat down with my appraiser two days prior to the lesson and confessed that I had no idea what I was going to be doing. I am pretty sure that I did most of the talking, punctuated by a few softly spoken but well directed questions that kept making me expand and clarify my thinking. I left that short meeting more inspired and enthusiastic than I had been in a while. The lesson that grew out of that meeting was the one I just posted about on my blog and on a shared blog for inquiry teachers. It was a great lesson and quite honestly I owe most of that to being given the opportunity to sit with someone and share my thoughts knowing that this person wants me to succeed, is interested in ideas about inquiry, and is really listening to me and the needs of my classroom. Do you have this person (or group of people) at your school? One of the things I have always said is that there is a wealth of talent within the faculty of a school. A lot of important professional development can come from people meeting to discuss ideas. But it has to go deeper than that. There has to be a level of accountability. There has to be some kind of tangible purpose. You have to be prepared to have someone hold the mirror up to your teaching practice really closely – and then you have to be prepared to potentially change the way you do what you do. It is this that motivates me about teaching. The variety. The opportunity to try new ideas. Thankfully, it seems that life has a way of connecting such like-minded individuals together. But what if ‘life’ forgets to connect? At the beginning of our school year, our Deputy Head of School wanted to initiate a Critical Friends group. He wanted about 8 or so people who were willing to commit to meeting, discussing, observing, and of coming together with questions about their teaching in order to improve their practice. For scheduling reasons, this group never took off. Now, more than ever, I am convinced that this is the type of forum that is beneficial for me as an educator. 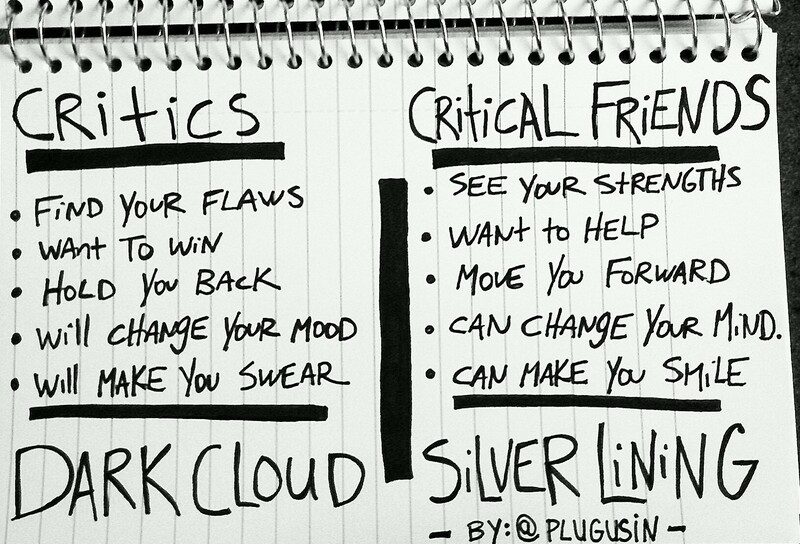 If you are interested, here is some further reading on the topic of Critical Friends – and not just for teachers! Costa, L. A., & Kallick, B. (1993). Through the lens of a critical friend. Educational Leadership, 51(2), 49. 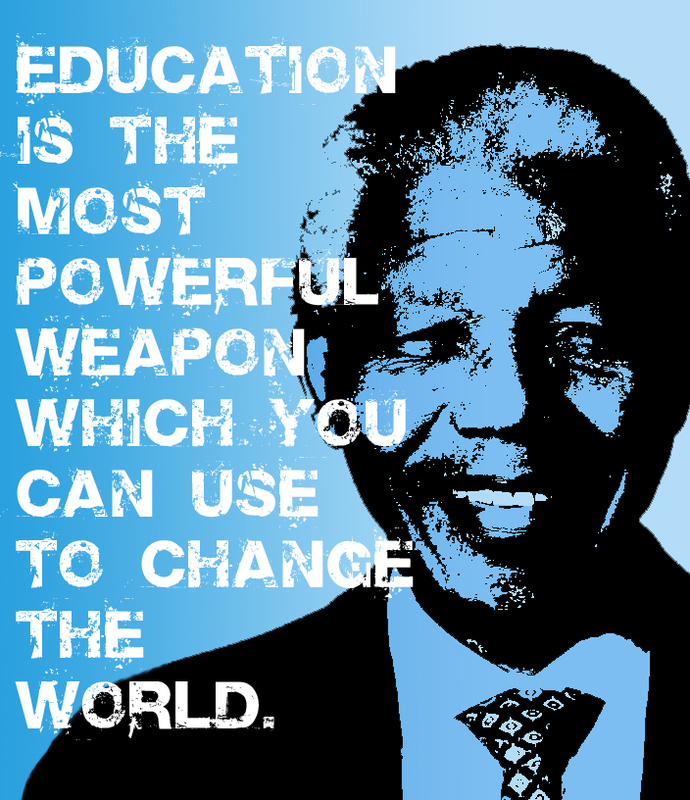 And I am reminded that whilst we no longer have Nelson Mandela with us on earth, we have this message which I truly believe resides within everyone who chooses to teach. It’s why we do what we do. And even though some days it feels so far, far removed from what we do, student by student, we are powerfully changing the world. Thank you to all those teachers dedicating their lives to changing the world. Thank you to all those people who play big, who pick themselves, who live lives that are full and passionate.